Double mastectomies have been on the rise for women in the past decade as a means to remove breast tissue that could potentially develop into breast cancer. So, even if diagnosed with cancer in just one breast, more women are opting to remove both breasts as a preventative treatment. But new research published online in JAMA Surgery suggests an increasing number of men who are diagnosed with unilateral invasive breast cancer—cancer in one breast—are also choosing to have both breasts surgically removed. Researchers analyzed data from various North American cancer registries involving more than 6,000 men who underwent surgery for breast cancer between 2004 and 2011. Approximately 76% of participants had a single mastectomy (removal of the single breast with cancer) and 20% had a lumpectomy (surgery that removed the tumor). A small but increased proportion of the participants opted for a double mastectomy—from three percent in 2004 to 5.6% in 2011. This small (2.6%) rise in double mastectomies for unilateral invasive breast cancer was concerning to the study’s lead author Ahmedin Jemal: “This is not good news because there is no evidence for the benefit of the procedure in terms of survival and there is harm associated with it,” noted Jemal. Relatively speaking, there is some proven benefit for women who opt for a double mastectomy—specifically, women who test positive for genetic mutations, such as breast cancer gene 1 (BRCA1) and breast cancer gene 2 (BRCA2). 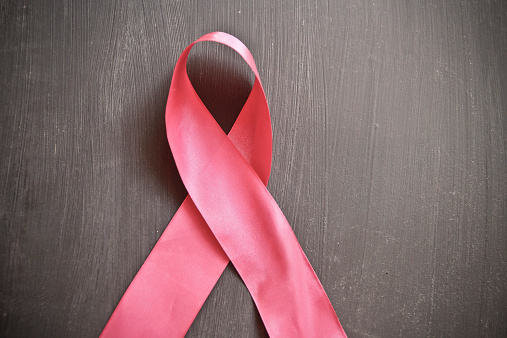 Mutations of these genes can increase one’s risk of developing cancer in the second breast. Previous studies suggest that a double mastectomy procedure can significantly increase life expectancy for these females. To date there has not been enough research into whether a double mastectomy can improve the life expectancy for men with the BRCA1/BRCA2 gene mutation. Although this most recent study doesn’t analyze the reasons behind why some men may decide to choose this procedure, Jemal suggests that fear and anxiety over developing a secondary cancer could factor into their decisions. Storrs, C., “Double mastectomies for men with breast cancer on the rise,” CNN web site, last updated September 3, 2015; http://www.cnn.com/2015/09/03/health/mastectomies-for-men-with-breast-cancer-on-the-rise/, last accessed September 4, 2015. Jemal, A., et al., “Temporal Trends in and Factors Associated With Contralateral Prophylactic Mastectomy Among US Men With Breast Cancer,” JAMA Surgery 2015, doi:10.1001/jamasurg.2015.2657.